Deputy Accountant General of the Ministry of Finance Vladim Persaud was yesterday arrested by the Special Organised Crime Unit (SOCU) and questioned and released in relation to the findings of a government-ordered forensic audit. The arrest triggered the ire of former President Donald Ramotar, under whose tenure Persaud had served, with him calling it harassment and racial profiling. 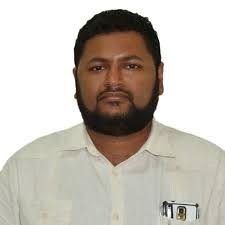 Acting Commissioner of Police David Ramnarine confirmed Persaud’s arrest to Stabroek News. “I don’t have the benefit of everything [all the information] at my disposal but I will confirm that he was arrested sometime today in connection with a fraud SOCU is investigating and he is likely to be released sometime later this evening on the condition that he reports to SOCU,” Ramnarine said. Stabroek News was told that the forensic audit was one conducted by former Auditor General Anand Goolsarran pertaining to the management of NICIL. Goolsarran, among other things, recommended criminal and/or disciplinary action against all those responsible for the interception of state revenues, totalling $26.858 billion, in violation of the Constitution. Goolsarran had said that several laws were broken. The period under scrutiny also included Ramotar’s term in office. Ramotar told this newspaper that he was made aware of the matter by Persaud’s mother, who was traumatised by the ordeal of her son being taken from his workplace for police questioning. 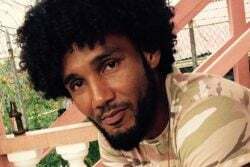 He said that Persaud’s mother related that she received a call that her son was arrested at work and taken to SOCU for questioning and was so flustered that she felt helpless. Up to late last evening, she still had not heard from her son although calls to his mobile phone were made. An upset Ramotar said that SOCU was wrong to arrest Persaud because works he performed would have been under the instruction of his superiors and there was never a problem with the young accountant’s work ethics. “I know Vladim well and I know he worked great under my tenure as President of the country. There was never a problem with his work, so I don’t know how SOCU can be investigating him. He worked under his supervisors and was never accused of or was part of any fraudulent activity,” he said. “This is just plain harassment. The government has been harassing many young Indian professionals that they suspect are supporters of the PPP/C from the time it took office, hoping, I believe, that with enough torment they would voluntarily resign from their positions. This is just disgusting. They would have arrested others with the hope of shaming them and breaking their morale but to date what of all the arrests? Who have they charged? They cannot charge a single soul because it is all a charade, all of it,” an irked Ramotar added. The former president said that he feared for young professionals in the public sector because of the attitude of the current government, which he believes is responsible for forcing SOCU to arrest persons. “I believe that SOCU is being used as a political tool to carry out the political vendetta of this regime. I don’t think Vladim did anything to be arrested yesterday. He committed no crime. The only crime could be is that he worked and worked very well with the PPP/C government. I say this because, and everyone can see, also, based on the past arrests,” Ramotar stressed. For this year, SOCU has arrested and questioned several persons stemming from audits that the APNU+AFC government had ordered since taking office in 2015. Among those either questioned or arrested are former President Bharrat Jagdeo, former Prime Minister Samuel Hinds, former Attorney General Anil Nandlall, former Cabinet Secretary and Head of the then Presidential Secretariat Roger Luncheon, former Minister of Natural Resources Robert Persaud and PPP/C MPs Gail Teixeira, Irfaan Ali and Nigel Dharamlall. SOCU has said that serious efforts are being made by it to question former Head of NICIL Winston Brassington and former Finance Minister Dr Ashni Singh. Both men, who now reside abroad, are said to be vital to the investigations, as the audit found that they operated outside of their mandates and made decisions unlawfully. Ramotar has said that he can vouch for both men as any decisions made were done lawfully under his directive.